Regular giving helps charities to plan better. As a lot of our work depends fully or partially on public donations, knowing that we have a steady income from dedicated supporters like you means that our projects can get off the ground faster and better. 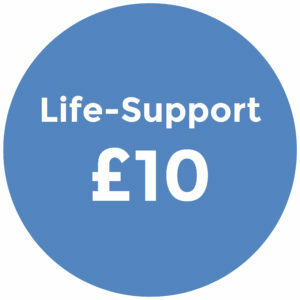 Our Saving Lives Fund is unrestricted, meaning we have the flexibility to boost different campaigns and projects as and when the need arises and we’re not dependant on public support for a particular cause. Your donation offers a helping hand to our organisation that will go on to heal sick and injured people around the world. regular delegations throughout the year. Sustainable training programmes are an essential part of our work in continuing life-saving work long after our projects end. Helping replenish our Emergency Reserve. Which helps our first responders be on the ground as soon as possible following a disaster. We are truly a global team of volunteer medical professionals and so we’re strategic about using local and appropriate expertise for any given projects to be effective in the field. We advance the education of medical professionals and the general public through the provision of refresher training, educational programmes, lectures and publications devoted to medical healthcare. We want sustainable impact in our work and providing local staff with the expertise to treat local problems is part of ensuring continued benefit to our beneficiaries long after our delivery ends. Our team of volunteer surgeons cover various specialties so that we can carry out complex surgeries that are otherwise unavailable in the areas that we work due to the high cost or lack of expertise in the area. Alongside delivering the surgeries we can train local staff so that access to high quality healthcare is still available in-between our visits. Lack of adequate equipment can often be the health needs of community aren’t being met. Hospitals serves so many of the local populations that machinery is often operated way past capacity to meet demand. Alternatively, they may not have the equipment at all or have it but received no further training to operate it. Our work in this area seeks to correct this and ensure that equipment is provided and used as effectively as possible. “Charity work” covers a huge range of professions and even in a medical charity there’s still plenty of opportunity for those not medically trained. 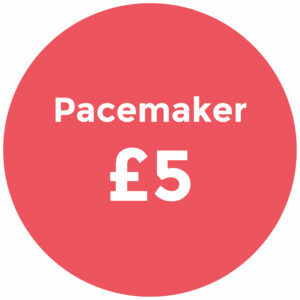 Whether it’s fundraising, event planning, design, video production, development and much more, we want anyone who volunteers with PAC to be able to improve on and learn new skills for their own futures as well as the future of the organisation. Public education is a huge part of improving health outcomes at a large scale. Whether its preventative awareness for NCDs or reducing the risks of a disease outbreak or informing the public of the availability of our free programmes. Many of the patients we work with travel great distances just to reach our clinics after hearing of the free healthcare they can receive there. As part of our commitment to ensuring holistic care to our patient we also help fund transport to get the patient the healthcare they need. Whether we’re bringing them to us or visiting them, a lot of our cases affect peoples in remote areas which is often inaccessible. Patient care doesn’t end when the surgeon closes the operation. Recovery varies patient to patient, surgery to surgery and we want the patient to leave hospital when they’re ready and when it’s safe. So for any surgery and project we also include this as part of our planning and costs. Managing a hospital, patients, donations, volunteers, logistics, contracts, finances means paperwork. Our administration support staff in the UK and worldwide help us continue to be efficient, transparent and evaluate our work to improve year on year.